After long time of the same fitness routine, create a new challenge for yourself. And don't make it easy on yourself! I found my new challenge by combining running and cycling. I am primarily a cyclist, and I don't really love running. It's difficult, painful there is no cutting corners like drafting or coasting to rest. But I'm not giving up! My new monster to beat is duathlon. 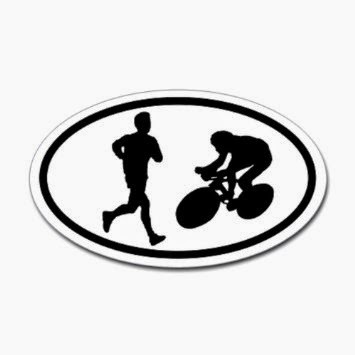 Last weekend I did my first duathlon training. I did 6 kilometres running, then 39 kilometres cycling and finished with another 6 kilometres running. It's easier to push yourself to the end of each stage, but you must overcome the knowledge that you still have more stuff to do (run or cycle). Convince yourself that it's doable - people looked very funny at me for a whole week before the training. Hold back on people that run or cycle faster than you, because they are doing only one thing while you need to pace over three stages. I psyched myself up for the training for an entire week. I also did a good core muscles training for a the week. Having prepared core muscles is a huge advantage on big efforts. What is your latest fitness monster? Tell us in the comments!